The F-1000 Series Speaker are compact two-way speaker systems designed for high efficiency, wide range, and high power input handling capability. These speaker systems can be installed in a manner ideal for the location and intended application. The F-1000BTWP features a water-proof design (splash-proof type meeting IPX4 standard), so that it can be permanently installed outdoors. The F-1000 Series Speaker are compact two-way speaker systems designed for high efficiency, wide range, and high power input handling capability. These speaker systems can be installed in a manner ideal for the location and intended application. The F-1000WTWP features a water-proof design (splash-proof type meeting IPX4 standard), so that it can be permanently installed outdoors. 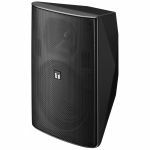 The F-1300 Series Speaker are compact two-way speaker systems designed for high efficiency, wide range, and high power input handling capability. These speaker systems can be installed in a manner ideal for the location and intended application. The F-1300BTWP features a water-proof design (splash-proof type meeting IPX4 standard), so that it can be permanently installed outdoors. 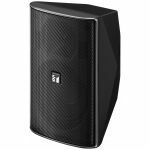 The F-1300 Series Speaker are compact two-way speaker systems designed for high efficiency, wide range, and high power input handling capability. These speaker systems can be installed in a manner ideal for the location and intended application. The F-1300WTWP features a water-proof design (splash-proof type meeting IPX4 standard), so that it can be permanently installed outdoors. The F-2000 Series Speaker are compact two-way speaker systems designed for high efficiency, wide range, and high power input handling capability. These speaker systems can be installed in a manner ideal for the location and intended application. The F-2000BTWP features a water-proof design (splash-proof type meeting IPX4 standard), so that it can be permanently installed outdoors. 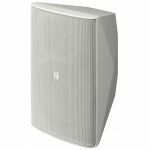 The F-2000 Series Speaker are compact two-way speaker systems designed for high efficiency, wide range, and high power input handling capability. These speaker systems can be installed in a manner ideal for the location and intended application. The F-2000WTWP features a water-proof design (splash-proof type meeting IPX4 standard), so that it can be permanently installed outdoors.